Jeep has released the first batch of images of the refreshed 2019 Jeep Cherokee, which will be making its live debut next month at the Detroit Auto Show. First things first: that weird front-end is gone, replaced with a more conservative, yet still aggressive look that reminds us of the larger Grand Cherokee's styling. We’re probably not alone in welcoming the change. Out back, there are some minor changes in the fascia and taillights. 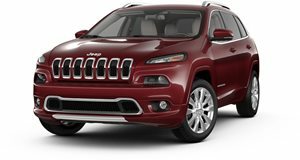 Details are scarce at the moment from Jeep, but it claims the updated Cherokee has a more premium design inside and out, and will be more efficient than the outgoing model. We previously learned that, aside from the new face, the 2019 Cherokee will receive the 2.0-liter turbocharged four-cylinder engine that’s good for 270 hp and 295 lb-ft of torque, at least in the new Wrangler. This turbocharged engine will be the new range topper and that’s not a bad thing. Currently, a 3.2-liter V6 is the most powerful engine offered. Compare the power specs and you’ll discover the turbo four has an additional 56 lb-ft of torque. The base engine will likely continue to be the 2.4-liter four-cylinder with 184 hp and 174 lb-ft. There’s only a single interior image for now, but we like what we see. Of course what you’re looking at is the top-of-the-line trim, complete with leather and all other bells and whistles. Jeep tells us it’ll release additional images and full details on January 16, the day the 2019 Cherokee has its live debut in the Motor City. We've also added some images of the outgoing Cherokee for comparison purposes.